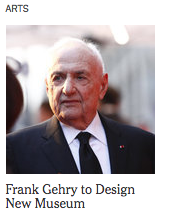 Calling yourself a design group you avoid the sticky responsibility of art. It's a trick of course, not so much halting our critical appendage as rerouting concerns, an excuse for a temporary injunction of arts more mannered rules that while appearing to resemble critical turns are more stylistic concerns. The design group is of course an ironic statement in that it intends to function as both and that if art were really all that expressionistically free wouldn't matter anyway. The Memphis group was as culturally attuned as any artist who had then avoided such stylistic concerns as the fashion that today so many embrace, doubling down on the visual psychosis of a culture. These still with ease function as art objects, superficial ones in the best sense.